We all know them and secretly we love them! The infamous first look pictures. The groom crying and the bride wiping away his tears. The peacefully adoring glances before the controlled chaos of their wedding. Meeting and greeting people and not having time to actually eat dinner. These are just a few reason why considering having the first look at your special someone before your ceremony is important. 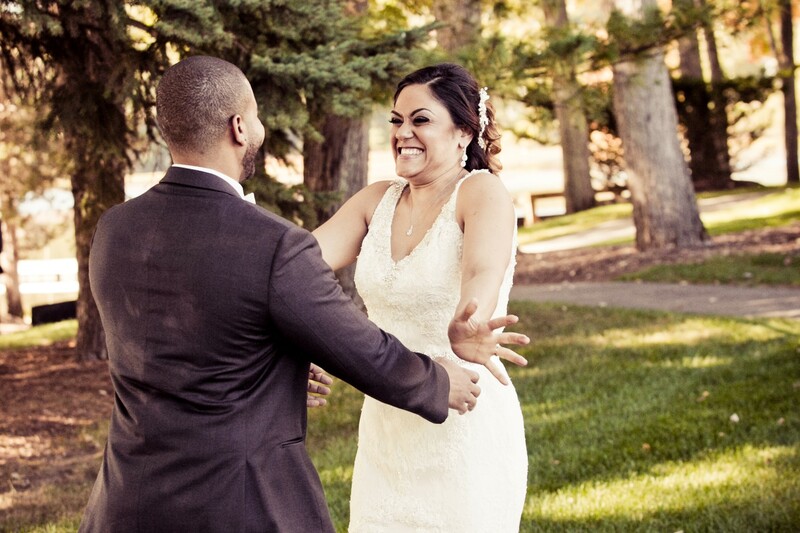 First Looks are when the Bride or Groom see their significant other for the first time BEFORE walking down the aisle. Tradition states that you must not see your better half until the time you walk down the aisle and if you do it is looked as bad luck. 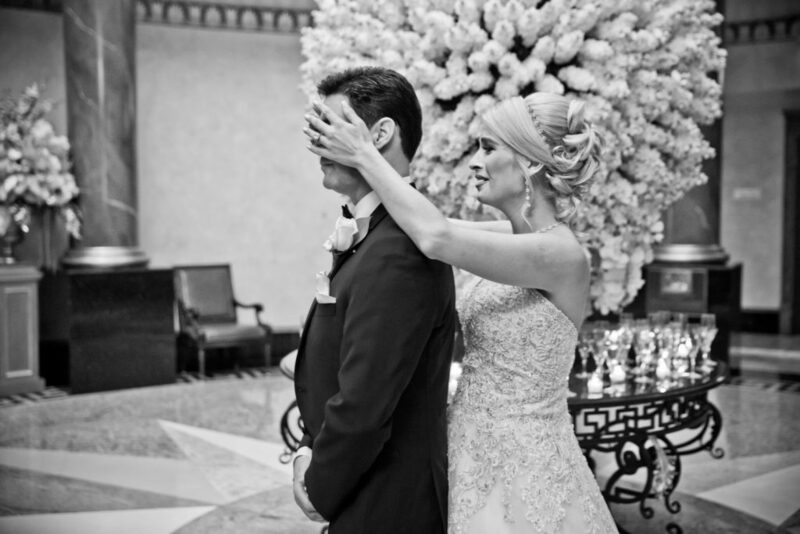 Nowadays most couples are saying no to this tradition and choosing that before the ceremony they meet in a romantic private setting and see each other. 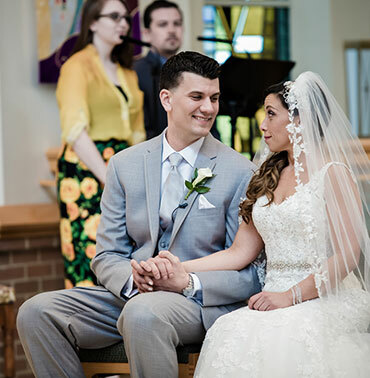 By having your first look with your husband or wife before the ceremony you can then take all of your pictures with your bridal party and family. There is a reason married couples keep giving you the advice that on your big day to sit down and enjoy the night. Weddings can be very hectic and you, without a doubt, will be running around non-stop. You can choose to have your first look with your loved ones witnessing the event or opt to have it private. Make walking down the aisle a little easier by getting the first look out of the way! We can’t promise you will not cry but those butterflies will disappear once your significant other. Another way to get a picture with your future husband or wife before saying “I Do” to be is to take a picture on other sides of a door or wall! Simply hold their hands and talk to them this will also ease some of your nerves. Having the first look before walking down the aisle you will have a guaranteed backdrop with no distractions. 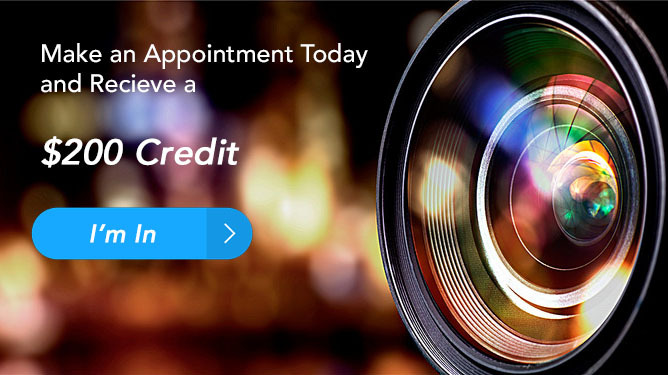 Your photographer will have more space and time to capture the perfect picture. When walking down the aisle there is one chance to get the grooms or bride’s reaction. And that is even if they have a reaction! It is not a written law that he or she must cry, so why build up for this moment if it might not be what you expect it to be? 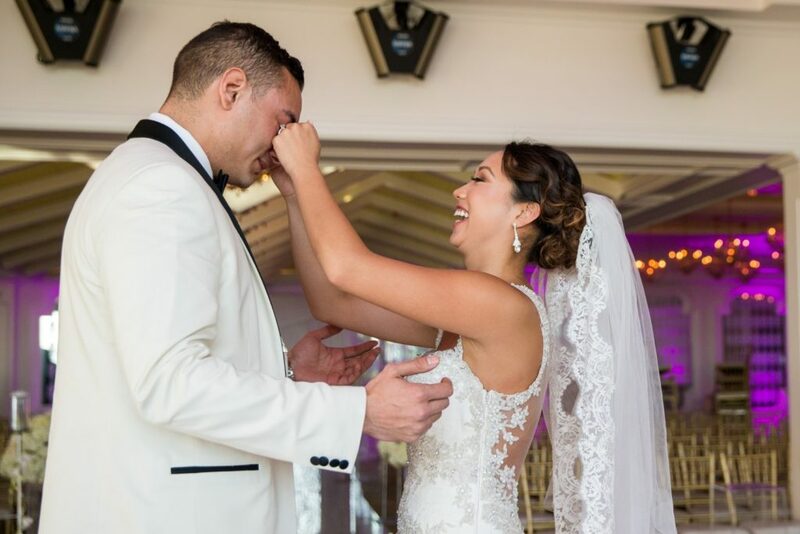 No matter what we can guarantee that the wedding, you, and your significant other will look stunning and with or without a first look will be a memorable experience!